This beautiful and wistful portrait of the Chevalier d’Éon, soldier, diplomat and “patron saint of transvestites” now boasts a prominent place in the National Gallery. It was acquired in 2012 by London art dealer Philip Mould at a New York auction of the collection of American department store heiress Mrs Ruth Stone, where it was identified only as an “unknown lady with a feather in her hat” and attributed to Gilbert Stuart, known chiefly for his portrait of George Washington on the dollar bill. Cleaning revealed the signature of Thomas Stewart, a little-known artist who specialised in painting actors and theatrical scenes in London in the 1790s. 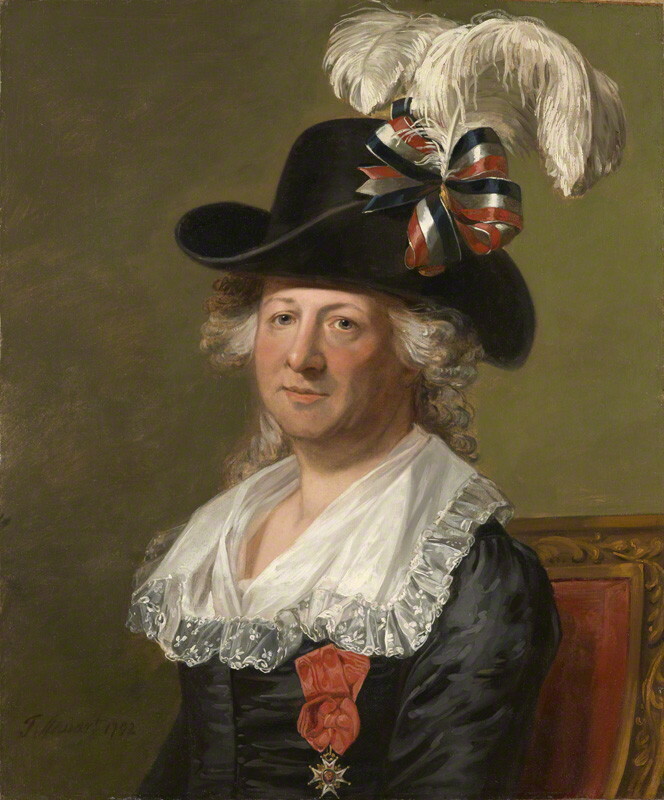 According to the National Portrait Gallery, it is a copy of a painting by Jean-Laurent Mosnier exhibited at the Royal Academy in 1791 and still in existence in a private collection. It was probably commissioned by the Irish Whig and lover of the exotic Francis Hastings Rawdon, Earl of Moira. 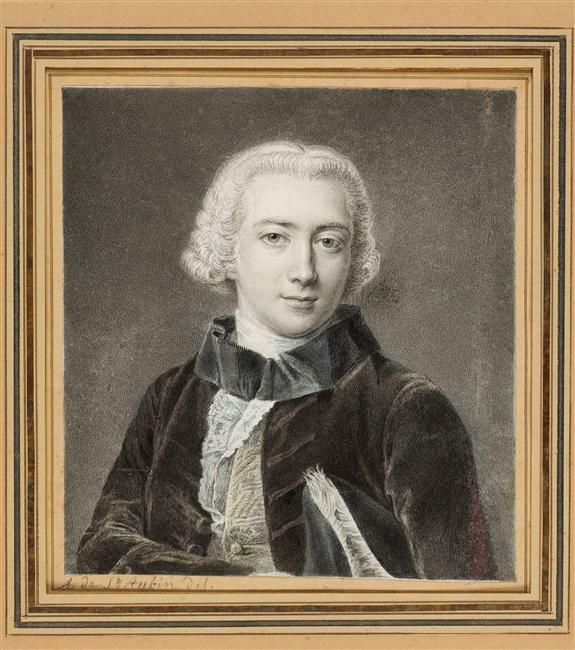 The picture shows d’Éon at the height of his fame when, in self-imposed exile in London, he took up a public career as an exhibition fencer. He wears his trademark black gown and the Croix de Saint-Louis awarded for his part in peace negotiations at the end of the Seven Years War. The tricolour ribbon fixes the moment; like his aristocratic Whig patrons, d,Éon was sympathetic towards the Revolution until the execution of the royal family and even wrote to the National Assembly in 1792 offering to lead an army of "Amazon" women against France's enemies. Although some line engravings and satirical prints survive, this re-discovery represents almost the only portrait of d’Éon available to the public. Only an early pen-and-ink drawing by Thierry Ollivier captures something of the same gentle melancholy as the later painting. The Chevalier's psychology remains enigmatic. Bizarrely, having fallen foul of the French government, he was officially compelled to dress entirely in women's clothing. As the portrait makes clear he made no particular effort to disguise his masculinity. Philip Mould certainly had no difficulty discerning that five o'clock shadow and snapped up the portrait for a mere $10,000; doubtless he turned a handsome profit! The portrait is by no means the first of Philip Mould's remarkable discoveries - which already included a Rembrandt, a couple of Gainsboroughs and an original portrait of Charles I by William Dobson. If you can get hold of a copy, his book The art detective; fakes, frauds and finds and the search for lost treasures. ( Viking 2009) is a good read.